Rather than booking from a website, I simply emailed them with my dates and asked them for the best room they can give me. They booked everything for me and emailed me with the confirmation. Closer to my travel date, they reached out and asked if I needed the hotel car to pick me up! 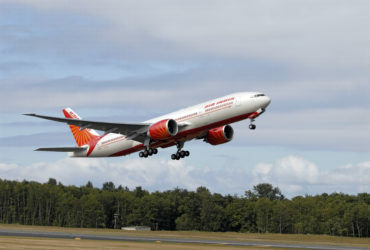 I appreciated their proactive approach to ensure that I was well taken care of! When I arrived in New Delhi, after such a long journey from DC, I saw the Taj Palace driver standing there with my name plaque. He immediately took my luggage and had me wait inside while he pulled the car up. As I was getting in the car, he asked if I want to have cold water or a soda. Would you believe that he had a cooler in the truck with ice cold drinks! Now this is an easy thing to do, but the fact that Taj Palace thought of this was amazing. About five minutes prior to arriving at the hotel, I heard the driver making a call and stating our location. This was super impressive as I knew then that arrangements were being made for my arrival. As soon as we pulled up into the hotel driveway, as usual, the doormen dressed in traditional clothes are there saluting. 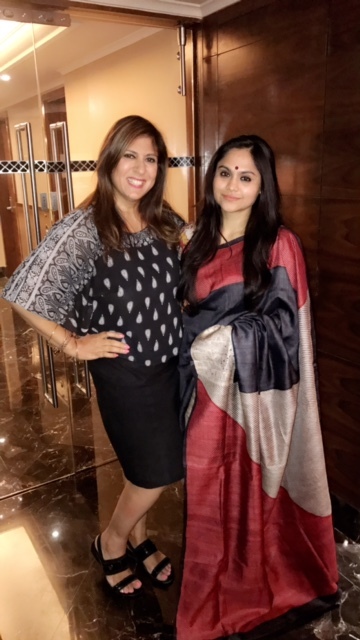 A young lady from the front desk staff dressed in a beautiful saree greeted me at the car door! She said welcome back Miss Neena, welcome home! She handed me the key to my room and immediately escorted me to my room. It was there that she asked me for my passport and credit card. It was such a treat not to have to stand at the front desk to take care of all the paper work. Before leaving the room, she asked me what she can get me as my welcome drink. She called room service and ordered me hot Indian chai, which I thoroughly enjoyed. 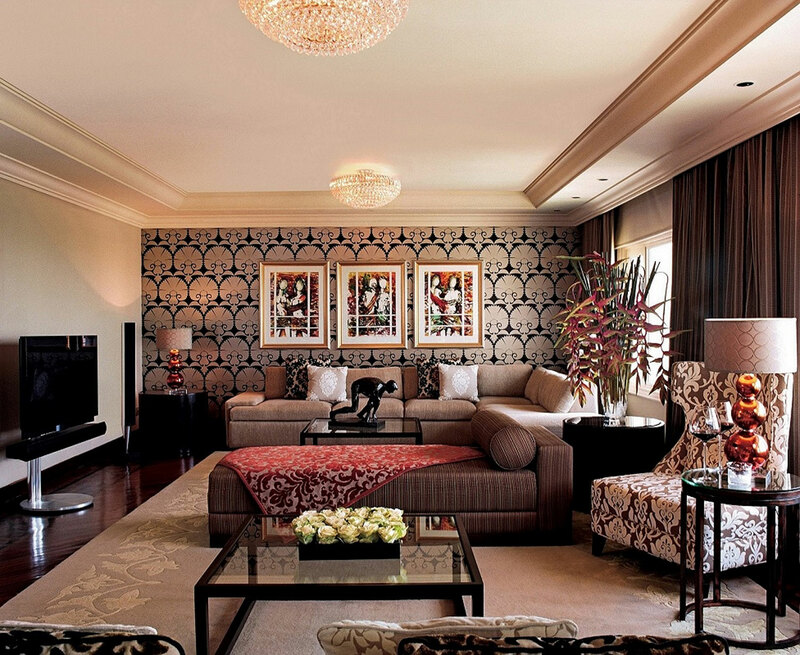 The room was immaculate and very clean. You could tell they paid much attention to details. I really enjoyed playing around with the multiple lighting options in the room as well as the automatic blinds! There were treats left in the room daily, chocolates, cake, Indian sweets, etc. 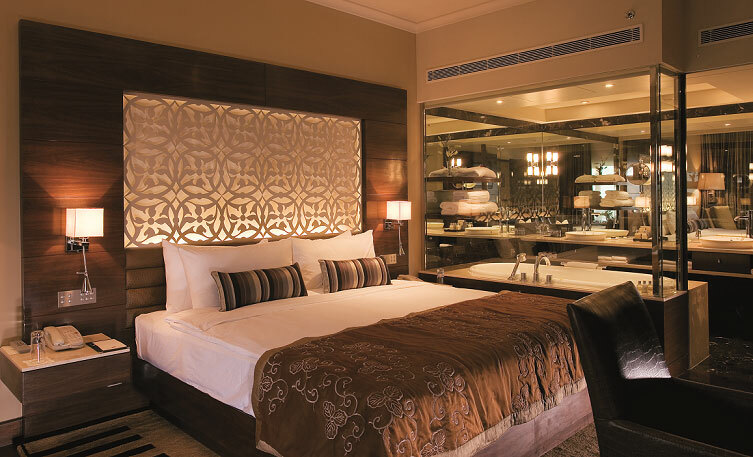 The bed was soft and comfortable with luxurious-feeling linens and multiple pillows with a pillow menu! The bathroom was completely surrounded by marble and the showerhead was on the ceiling, giving a rain-like effect! After a long day at the office, I came back to the room and found a note in the bathroom. The note said “We are sure that you had an exhausting day so we took the liberty to draw you a bath. We hope you take this opportunity to unwind and relax”. When I looked in the tub, it was half full with water and it had red rose petals floating in it! At that point, who wouldn’t have indulged!! Now I must admit, when I was told that my all-time favorite is Kafe Fontana restaurant was being renovated and completely changed, I was a bit skeptical. I was told the new place would be called Capital Kitchen …that will now be the new the 24 hour coffee shop. I have been staying at the Taj Place for years and felt that Kafe Fontana served the most amazing breakfast spread I have ever experienced. I walked in the first day of this recent stay…and the place looked completely different. The ambiance is excellent and quite modern boasting high ceilings and classy, inviting colors, and has a lovely view overlooking the green grassy area and pool. Ok, I thought to myself, it looks nice but I hope it is as good as what I am used to. I went ahead and took a round to explore the buffet. To my surprise, everything looked wonderful. The selections were just as good, if not better…they had it all…from Indian to Continental to Fusion. 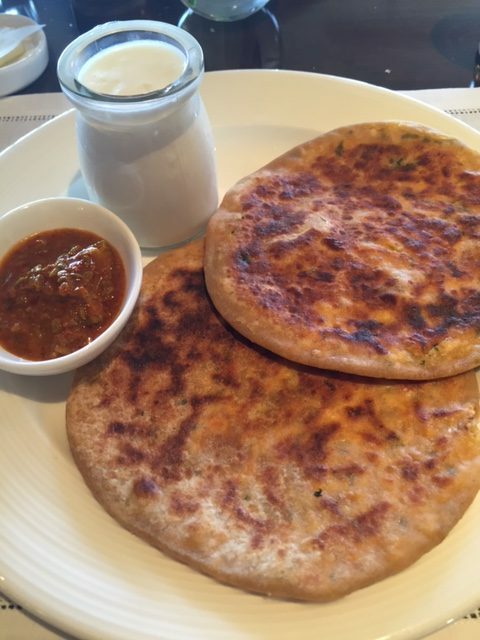 The real test would be tasting the food and then comparing so, I ordered my favorite option, Paneer Parata..with a side of achaar (pickle) and yogurt. Just look at the image below….need I say more??? It was superb….tasted just as good, if not better than I remembered it. 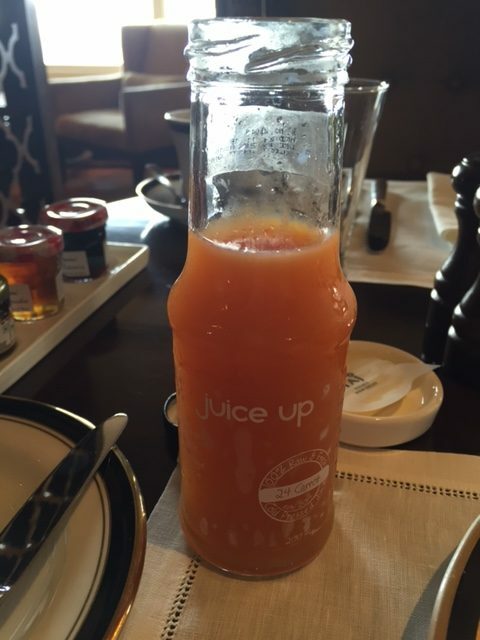 What really impressed me is the new selection of fresh pressed juices. There is a cooler dedicated to juices, various flavors of yogurt and yogurt drinks. 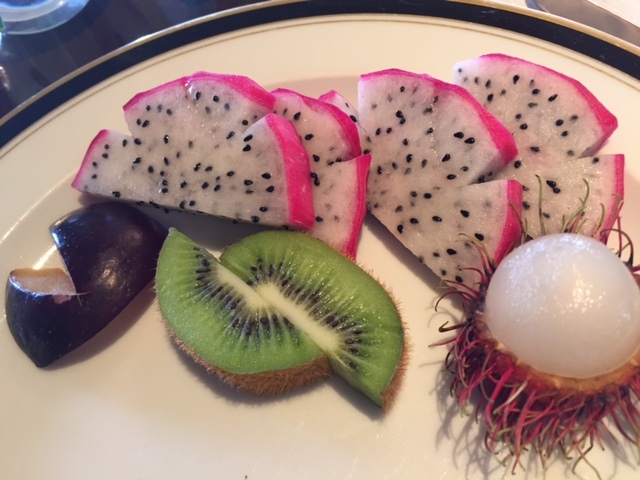 The fruit selection was out of this world as well..
Now, if you visit this restaurant a few times, you will notice how the waiters are in tune with your preferences! They knew that I enjoy chai, without masala, only elichi (cardamom). They would notice how I most enjoyed the paneer paratas (roti stuffed with cheese) and since they only offered this variety once a week, they made it a point to ask if I wanted these especially made for me. Now, this shows their level of customer service! The waiters were all super attentive and pleasant. Capital Kitchen has my vote as an amazing place to dine…anytime! If you want to enjoy a meal with great service and ambiance, I would highly recommend the Masala Art restaurant. 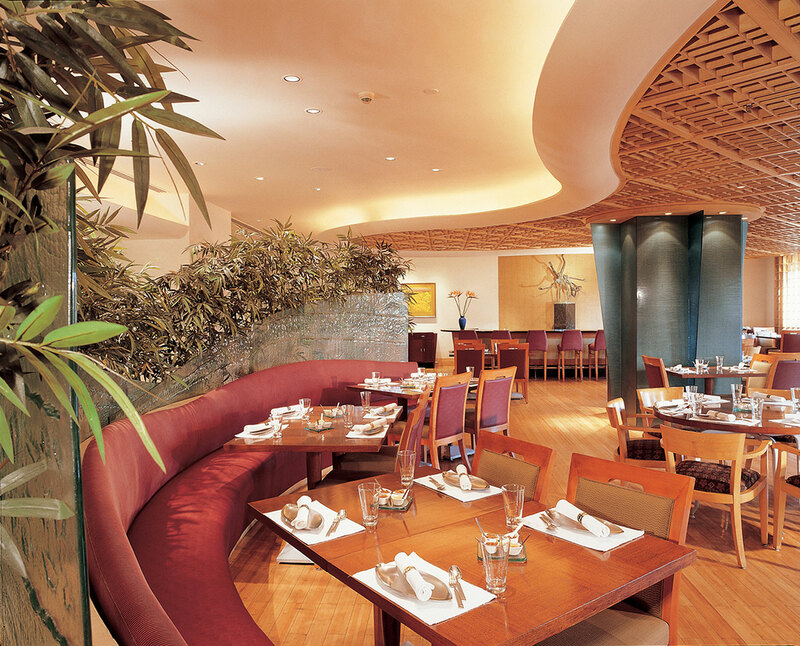 This is a traditional India restaurant with a flair! They bring a portable stove to the table and make fresh rotis to accompany your meal! What a nice touch! The food tastes great and the presentation is amazing! The ingredients and spices used do not make the dishes seem very heavy as in many Indian restaurants…rather, they give you the feeling of full satisfaction. Kudos to the chef! 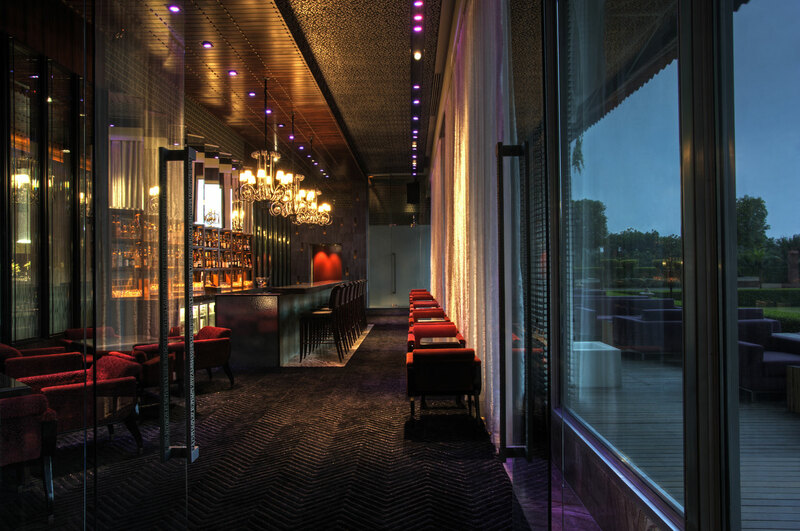 And then, of course, is The Blue Bar…it’s a very happening bar with a huge variety of both traditional drinks to extremely modern ones! The bartenders are fun to talk with and take great pride in the drinks they create! The place is well designed with a lovely patio area which overlooks the swimming pool A nice touch are the heated lamps when there is a chill in the air. The appetizers are delicious and are not to be missed. This bar is open until about 3:00 am! I had the pleasure of dining at the Orient Express restaurant…wow..what an experience! 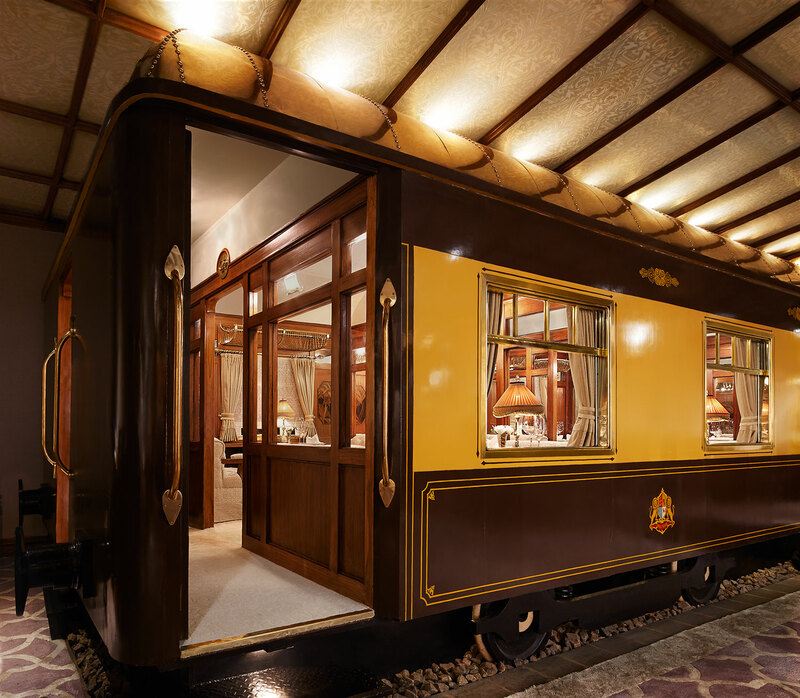 This restaurants is modeled after the legendary train that travels across Europe. 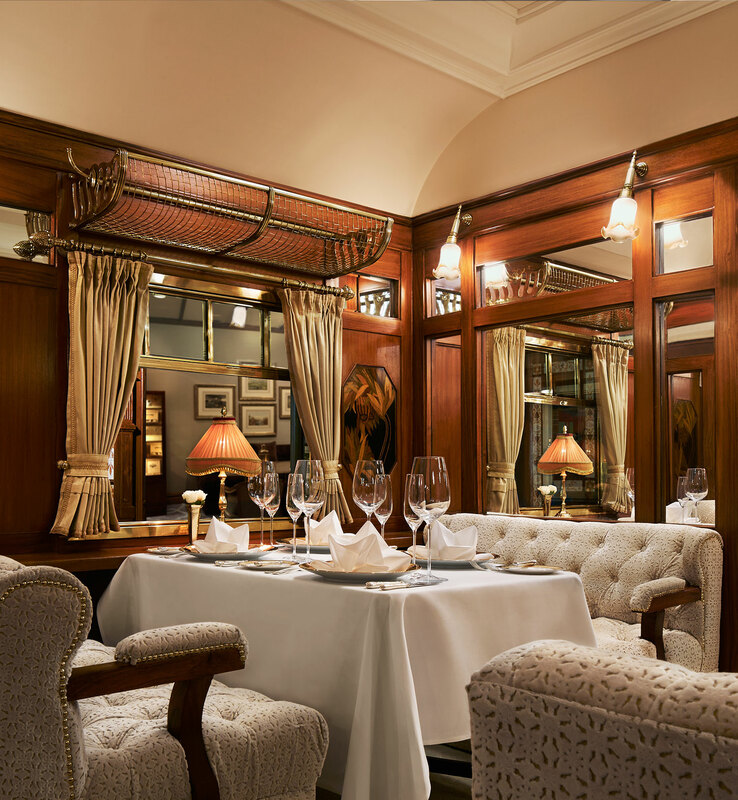 They serve the best of European cuisine in a setting similar a compartment of the Orient Express. Get ready to enjoy cuisines of the country the train passes through…you will enjoy hors d’oeuvres, entrees, sorbets and desserts! Don’t miss the mushroom soup…my favorite! All Aboard and enjoy this experience! 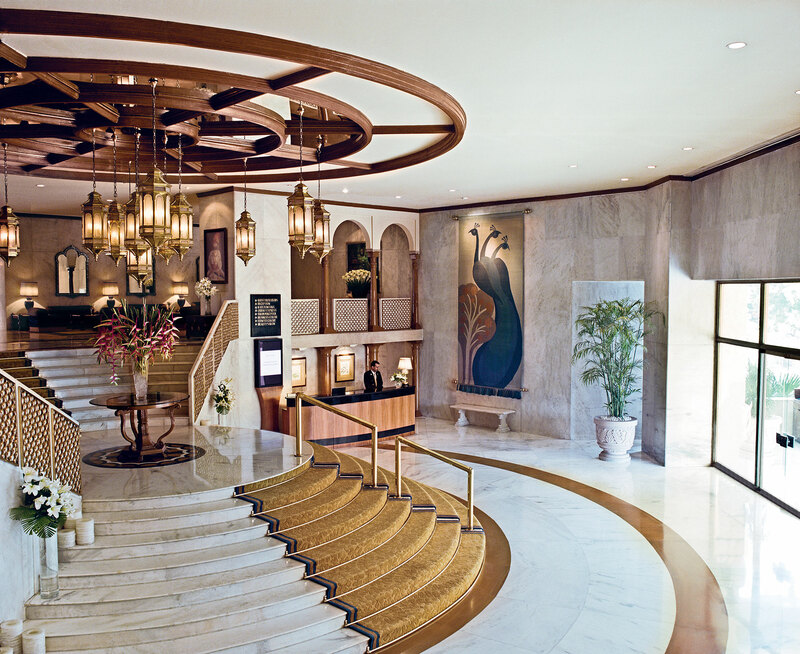 Don’t miss the chance to stay at this wonderful hotel…if you do, you will know very well why its my home away from home! my friend from the hotel that does everything possible to ensure the stay is memorable! 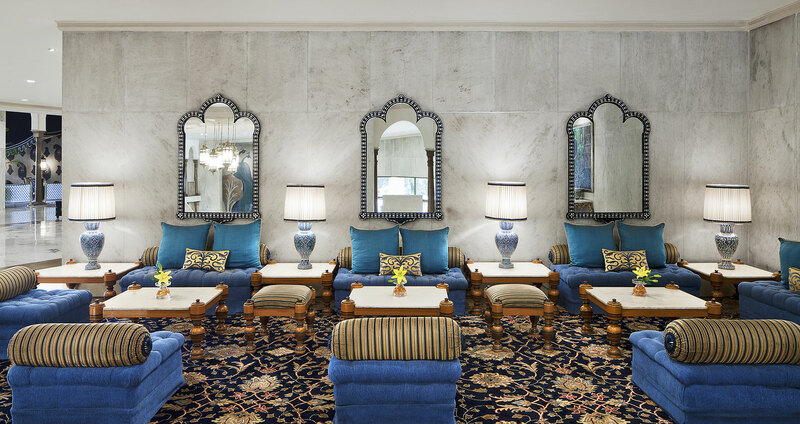 Reminiscing about my stay with you at the Taj… very well written. A couple questions for you …do you have any experience with their spa services? Does one have to stay at the hotel to access the restaurants for breakfast or lunch?